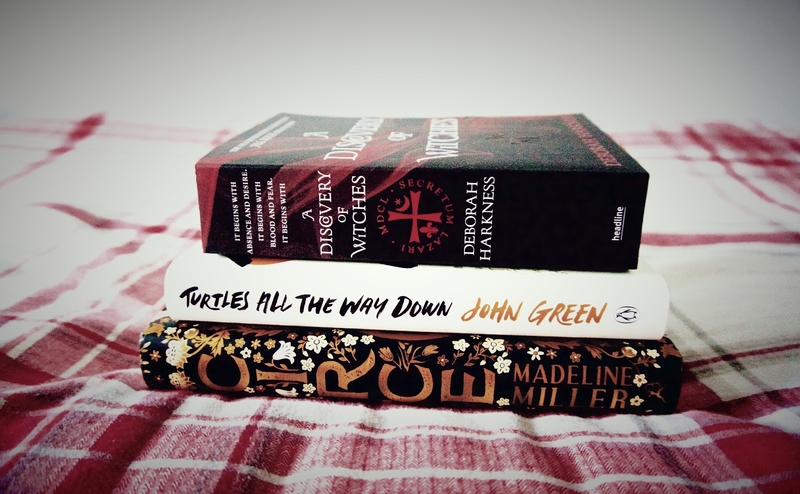 This year has been a very good reading year for me so far. I've tried my best to dedicate more of my time to reading and have read some incredible books as a result of this. There are still a lot of un-read books on my bookshelf though, so today I thought I would share some of the novels I'd like to get around to reading this season! After reading The Song of Achilles, which quickly became one of my favourite books, I was incredibly happy to hear that Madeline Miller was releasing a new novel. This follows the title character Circe, a daughter in the house of Helios, as she discovers her powers in witchcraft and is banished by Zeus to a deserted island because of them. There she hones her craft, and encounters many a well known figure within greek mythology along the way. I can't wait to dive into this and if TSOA was anything to go by, it will be incredible! Ready Player One, Cline's insanely famous novel, was the first book I read this year and I devoured it. Whilst sci-fi is a genre I've always loved, I realised I've not actually read that many sci-fi novels, so after thoroughly enjoying his first novel I decided to pick up his second, Armada. This follows a young teenager named Zack Lightman, who one day glances out of his classroom window to see the flying saucer from his favourite video game, Armada, bearing down upon the earth, initiating an alien invasion in which Zack and his newly found comrades will fight! I purchased this book years ago and somehow left it gathering dust on my bookshelf until an advertisement for the new television show based on this novel appeared on my tv screen and inspired me to pick it up again. I always get in the mood for fantasy in the autumn season and after seeing the reviews for this novel I can't wait to dive into it. It follows Diana and Matthew, witch and vampire, as they unlock the secrets of a hidden alchemical manuscript and slowly the world of witches, daemons and vampires begins to unravel. Again, this is a novel that has been sitting neglected on my bookshelf for years, until one evening of boredom resulted in me rearranging my bookshelf and discovering books I had long since forgotten about. I had no idea how famous this novel was when I bought it, but I've recently seen it making its way onto the YA tables in waterstones and seeing positive reviews everywhere. This follows Sophie, a 14 year old girl who begins a correspondence course with a mysterious philosopher, and begins to use this new found philosophy to decipher why she's receiving letters addressed to a girl named Hilde and who this girl might be. This was one of my most anticipated novels of last year and I still haven't got around to reading it yet. I've been reading based purely on mood and I've just found myself reaching for other books on my ever growing bookshelves, but I would like to get to this before the year is up. This follows the story of Aza and Daisy, as they investigate the mystery of a fugitive billionaire, and gradually get closer to the billionaires son David in their attempt to do so. As far as I'm aware, this novel deals with mental health issues such as anxiety and OCD, and I'm looking forward to seeing how John Green represents them! I included two 'classic' novels on my list of books I wanted to read this year, one being this one, the other being To Kill A Mockingbird. I don't think I'll get round to reading TKAM before the year is up, but I would like to dive into this Christie novel! I've never read a novel by her before and I feel like this might be a good place to start, especially with the release of the adaptation film last year. This follows the famous Hercule Poirot, as he attempts to discover who, out of the thirteen likely subjects, committed a murder aboard the luxurious Orient Express. 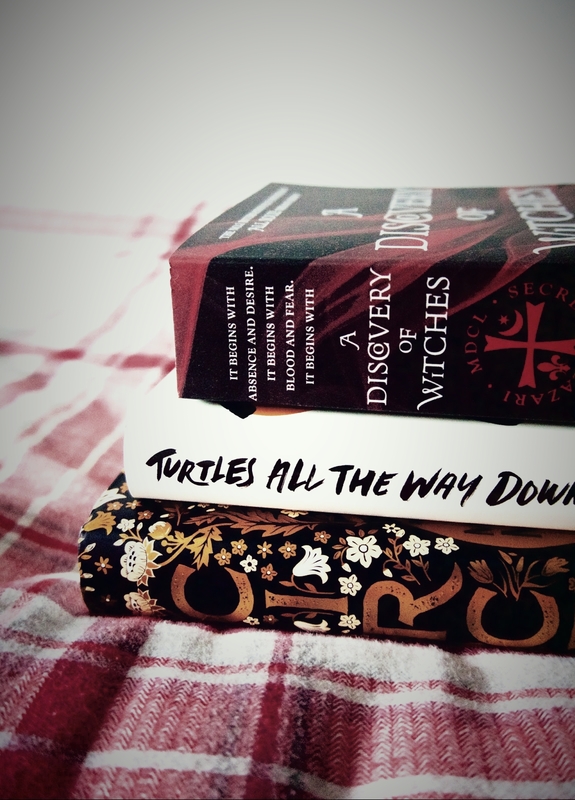 Dying to read A Discovery of Witches too! Especially since the show just premiered in the UK. I am going to have to read A Discovery of Witches soon, so many people have told me to read it! Omg that photo is AMAZINGLY GORGEOUS 😍 And I totally want to read Circe too! Also kind of want to own it just because it's so downright gorgeous ahh. 😂I can also attest to Turtles All The Way Down being utterly amazing. I hope you get a chance to read it! I like the sound of A Discovery of Witches book, what is the series called? And no I havent read any of the below. I started A Discovery of Witches a few years ago but found it slow going. I'm going to give it another shot!